There may come a time in your life when a book can save your life. Many people believe the world is going to experience a few major disasters, whether natural or economical, that could destroy our way of life. Learning survival skills requires a lot of time and hands-on experience. 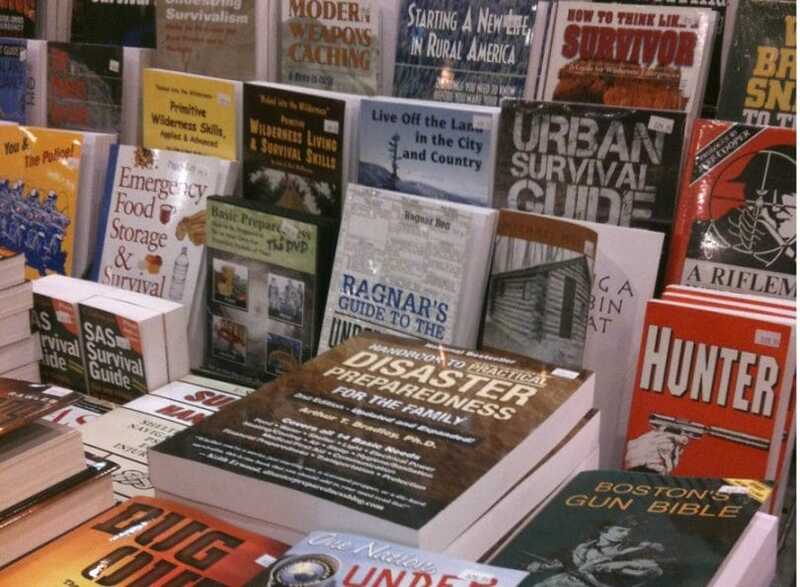 Having one or several of the best survival books for your bookcase at home can help you during an emergency. Survival requires knowledge. The more you know, the more likely you are to survive a disaster scenario. Wilderness survival books are books you can live by and on. They give you the knowledge you would have otherwise never known. However, there are a lot of books out that there are just repeats of hundreds of other ones. Authors compile the books without adding anything of value or significance to help their readers. I have compiled a list of the best survival books that have valuable knowledge to give the reader. You may feel satisfied owning only one of these books. Others prefer to line their shelves with as many books as possible. 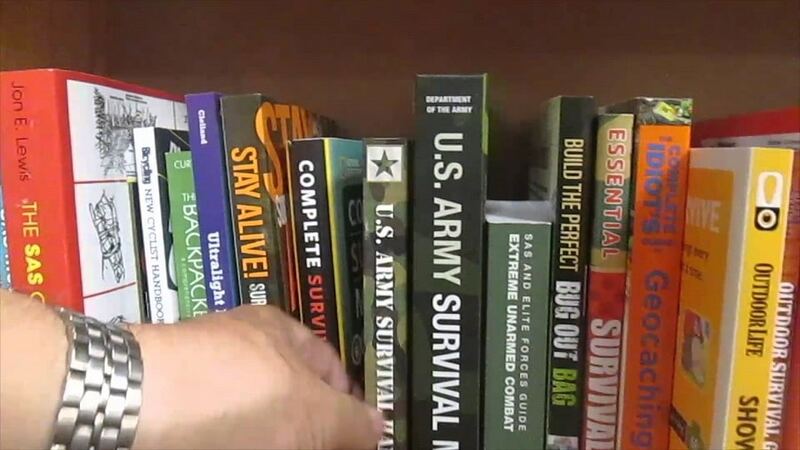 It is wise to pack at least one of these books into your bug out bag and keep a few on hand at your home. You never know when disaster is going to strike. Before we begin our review of the best survival books, it is important to remember that a book cannot teach you everything. A lot of the following authors learned their skills from taking a firsthand approach and surviving in the wilderness. Some of them live consistently in an off the grid type lifestyle. Once you have selected a book or four, I highly encourage you to head out into the woods and give them a try. Starting a fire without a fire starter or light may seem easy, but you don’t want your first attempt to be under pressure with high anxiety. Start slowly; try out a few skills each month. Don’t forget to build a stock of emergency food and water, which should be an everyday practice. Being prepared takes knowledge, experience, and preparedness. Content: Are you worried about possible pandemics, such as Ebola or the Flu virus? 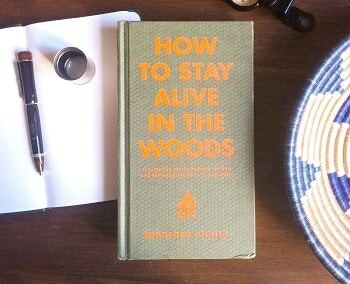 If so, Your Survival is the wilderness survival book for you. Dr. Bob Arnot is a trusted, medical correspondent, and Mark Cohen is a survivalist. They combined their knowledge to write a book to help you plan for disasters in straightforward and inexpensive ways. Your Survival isn’t just about surviving in the wilderness; it is about how to survive in any disaster scenario. There are checklists to help you create a stock of emergency food, ways to protect your family during natural disasters like tornadoes, and surviving terrorist attacks. Cohen and Arnot made the book easy to read by dividing it into three sections – Before Disaster Strikes, During an Emergency, and After the Crisis. This organization helps you find what you need to know. 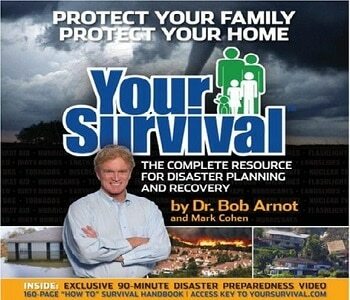 They include plenty of expert tips as well as a 90 minute DVD for your family to help prepare for a future disaster. By reading Your Survival, you gain a wealth of knowledge to help your family survive any scenario. Content: Angier wrote a classic survival book that deserves a place in your bug out bag or gear. There is no doubt How to Stay Alive in the Woods: A Complete Guide to Food, Shelter, Self-Preservation Anywhere should be taken for any trip you have into the woods. The content is solid. However, many people comment that the drawings lack details to make skills easily understood. Angier lived off the land and offered his first-hand experiences to readers. It was reprinted in 2001, but the original copy was written in 1956. Even though it is slightly dated, the skills included in the book are timeless and will work now. One of the reasons it is popular is its organization. The book includes four sections: sustenance, warmth, orientation, and safety. You will find a vast plethora of information including topics like making clothing, signals for help, full-color illustrations of what plants you can eat in the wilderness, and how to catch game without a gun. Content: Olsen teaches readers many skills with this Native American skill themed book. You are going to learn about acquiring shelter, water, fire, tools, food and more with this small book. It is a smaller sized book, but it doesn’t lack in quality. This Outdoor Survival Skills has taught three generations of adventurers how to survive without any needed equipment. You don’t need to spend hundreds of dollars to purchase gear to survive in the wilderness. 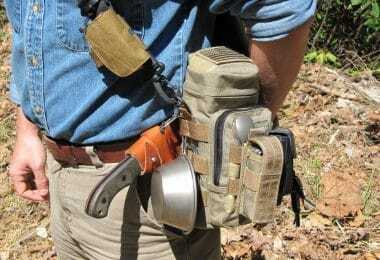 All you need is knowledge, and that is what you will gain with Outdoor Survival Skills. In the current edition, the author added information about his lifetime experience through examples of skills and outdoor survival. 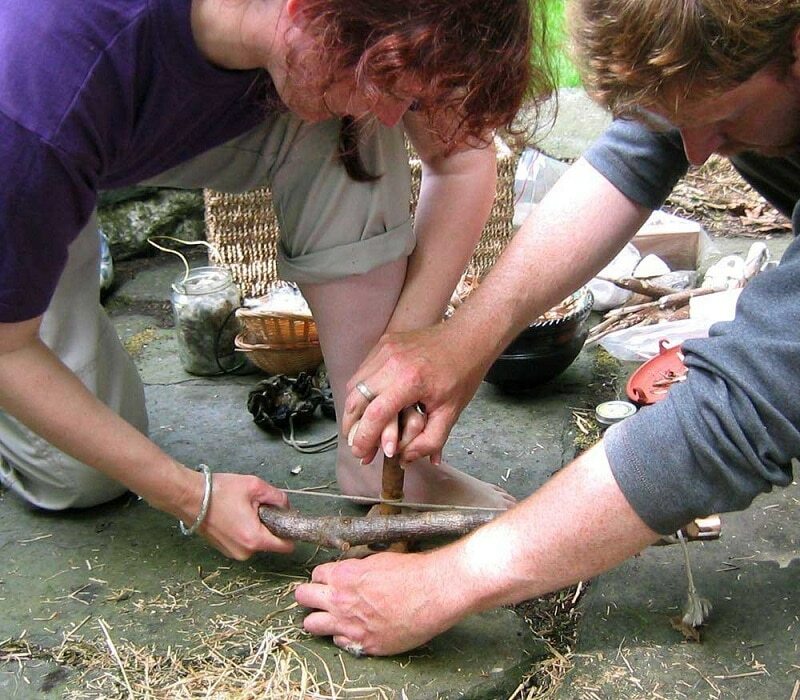 You will find information about making string, archery, and friction fire equipment. Many people have field tested his advice over the years; you will survive if you have this book on hand. Content: If you want a book to teach your primitive living skills, Primitive Wilderness Living & Survival Skills is one of the best choices. John McPherson spent years of his life learning the skills he details in the novel. The Primitive Wilderness Living & Survival Skills: Naked into the Wilderness includes the how-to instructions and why to complete the skills. Instead of focusing on surviving, you will learn how to thrive in a wilderness situation, making this book an awesome wilderness survival book. Instead of covering a vast range of skills, McPherson focused on covering the included skills thoroughly. Readers learn how to brain tan deerskins, build bow drill equipment, make pottery, construct cordage, and create makeshift shelters. Primitive Wilderness is truly an oldie but goodie. McPherson added actual photographs, more than 700, rather than illustrations and drawings. The photographs connect the reader to the process and make it easier for you to understand what you need to do. It is the next best scenario besides completing the tasks hands-on. McPherson planned each chapter of his book to be a book by itself. However, the book doesn’t cover some important survival techniques like finding and treating water, which is essential for survival. It is an excellent choice for a wilderness survival book, but it best for the new outdoorsman and those wishing to live more of an outdoor, off the grid lifestyle. Content: With the name The Survival Handbook, you expect to find a huge variety of skills and information to help the readers. One thing to note is the size of this book. It is around two pounds and may not be the best choice for your bug out bag, but it is superb to keep on the bookshelf for references. You are going to find a whole lot of information. Towell added a multitude of scenarios in different climates. 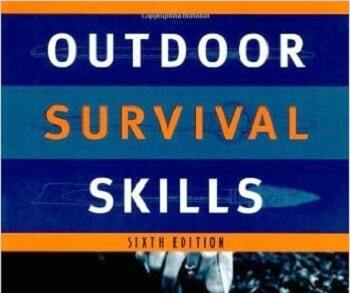 The book includes global skills that you may need to survive in various conditions. Many younger readers appreciate this book because Towell added plenty of illustrations, making it a great pick-up-and-go type book. The writing is contemporary and well organized. If you have to pick one wilderness survival book, The Survival Handbook would be a good choice. It teaches you how to make shelters, find water, catch and cook wild food. There are first aid techniques which are perfect for survival and wilderness scenarios. Overall, many survivalists would place this book in the list of the best survival books. Content: The newest edition of the SAS Survival Handbook includes two new chapters – urban survival and terrorism – which is needed for many survivalists! 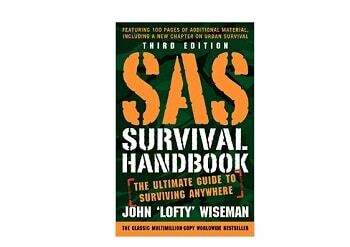 This best-selling handbook is written by John “Lofty” Wiseman who is an ex-Special Air Service survival expert. He adds some of the best, most reliable survival information you can find in a book. 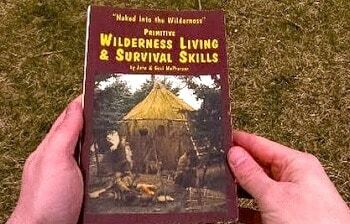 It is a classic, wilderness survival book. With the newest edition, you can be sure everything is up to date and reflects the latest technology. I love the addition of the most recent chapters. When we think about SHTF scenarios, there is a huge portion of our popular in urban areas. Terrorism is an actual threat to our safety. 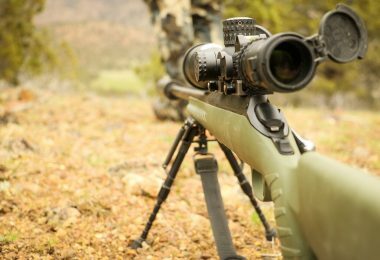 SAS Survival Handbook is geared towards survival in combat situations, but the principles he teaches can be applied to many cases. 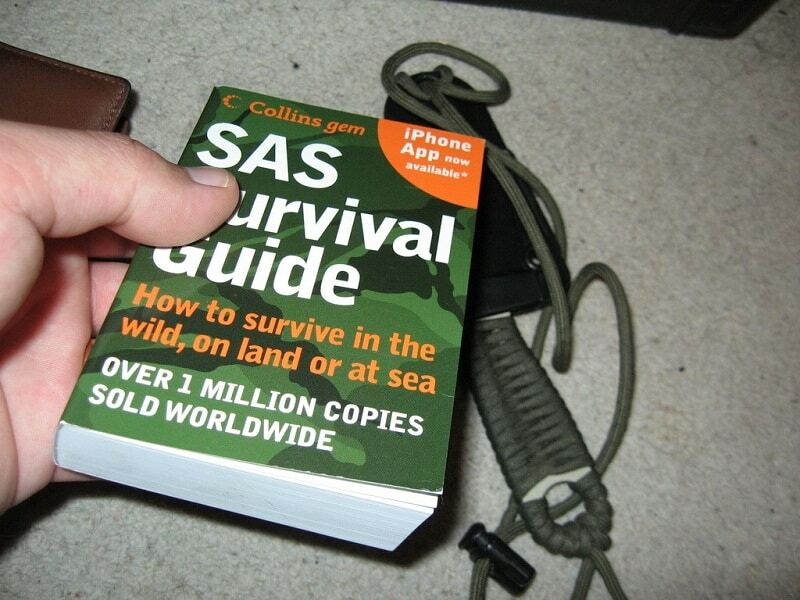 Campers and adventurers alike enjoy the SAS Survival Handbook. You can find information about basic camp craft and navigation. There is information about old-school navigation skills and using a new GPS. Wiseman discusses survival on land and at sea. He writes about how to arm yourself for basic self-defense and how to protect your family from intruders. 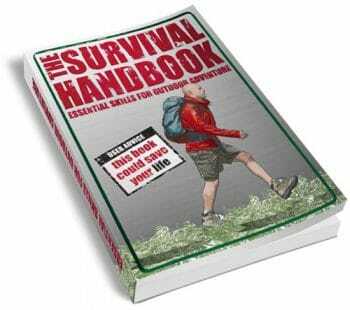 SAS Survival Handbook is one of the best survival books; it includes nearly everything you need to know to survive any scenario possible. One of the great things is it comes in a pocket-sized version that can be kept in your emergency bag. 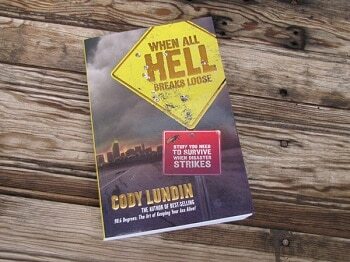 Content: Cody Lundin, the author of When All Breaks Loose, also wrote the very popular book 98.6 Degrees. It is a book filled with disaster preps and emergency skills. You will find information about bugging out during a disaster, creating an urgent outdoor kitchen and how to handle a dead body. While it could be a tough read for some, When All Hell Breaks Loose teaches families how to prepare and handle survival scenarios including survival psychology and how to obtain the skills necessary to deal with a disaster. Why include psychology? Surviving a disaster scenario is 90% psychology and 10% gear and methods. Lundin placed quotes and tips throughout the book to encourage readers to remember specific strategies under stress. 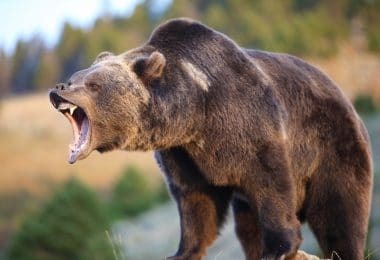 When your body feels threatened, you resort to a fight or flight mode. It is easy to remember quotes; they will help you stay alive. There is also a lot of valuable information in the book. You will find basic first aid, recommendations for survival items, storing food, creating alternative light options, building temporary toilets, and catching rodents for food. For everything you need to know about self-reliance, When All Hell Breaks Loose is the novel you need. If you want a book your family can pick up and get started, I highly recommend this book. It is also perfect for urban and suburban survivors. There is a lot of essential information stored in these novels. Some of the information you may already know, but it is an excellent idea to have references on hand. You never know when you may forget steps or need to show someone else how to survive. You don’t have to be a Doomsday Prepper to want to purchase one of best survival books. In fact, it is a magnificent idea for everyone to be prepared. You may not believe the economy will collapse or that a flu pandemic will kill half our population. A wilderness survival book can help families who like to camp, hike or spend time outdoors. Families that hunt or geocache can benefit from a survival book. Spending time outdoors is an excellent education for children. These books will teach your kids about wild edibles and how to track deer. Pick one of the seven great choices above that fit the needs of your family. You may not need a book that covers primitive skills, but everyone can use a book that teaches them the basic skills of survival. The hope is never to need to use the skills in a life or death situation, but it is there if you require them!